One billion gallons of waste water is produced every single day. With all these liquid waste, our environment suffers more than what we could imagine. With our Waste Water Removal service, the Advantage Environmental Corporation aims to help dispose of waste water properly through a high quality waste water collection system and waste water treatment system. Petroleum-contaminated water is definitely a dreadful health and environmental hazard, but our company provides state-of-the-art automated treatment system for this type of waste water as well as other kinds of liquid waste. The facilities for Waste Water Removal service are all tested, and inspected on a regular basis to ensure that we deliver no less than the highest level of compliance and quality for our clients. 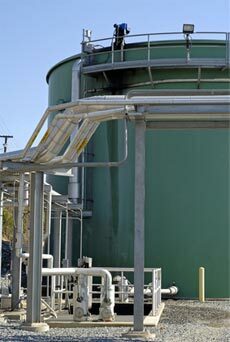 It doesn't matter if you have 5 gallons of waste water or 500 gallons and more – we can handle it for you. If you have any inquiries regarding our Waste Water Removal service, you may contact our customer support service or email us your question or concern. You may also use the Online Contact Form in this website.